Xiaomi has announced the 'I Love Mi Days' sale, live now on Mi.com, Amazon India, and Flipkart. The Xiaomi sale appears to be timed to celebrate Valentine's Day, which falls on Thursday, February 14. The Chinese company is offering of smartphones and other devices at discounts as part of the sale. The Redmi 6, Redmi Note 6 Pro, and the Redmi Note 5 Pro are among the smartphones available at discounted price points as a part of the ongoing 'I Love Mi Days Sale' sale. Apart from the smartphones, Xiaomi is also offering the Mi Band HRX edition and Mi TV 4A Pro at a reduced price among other products. There is also an additional exchange discount offer for the Poco F1 on Flipkart. 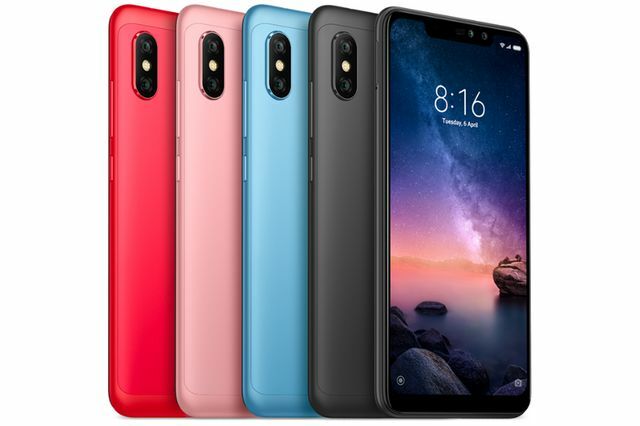 Starting with the Redmi Note 6 Pro, the smartphone's 4GB RAM + 64GB storage variant is now available at Rs. 12,999 on the three websites. The higher-end variant of the smartphone, which packs 6GB of RAM and 64GB of internal storage, can be purchased for Rs. 14,999. In addition to the discount, Amazon, Flipkart, and Mi.com are also offering no-cost EMI plans on the Redmi Note 6 Pro, alongside exchange discounts and various bank offers. Motorola has launched Moto G7 and the Motorola One smartphones in India and both of them will go on sale starting today.